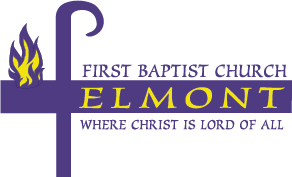 Welcome to First Baptist Church, Elmont! I’m so glad that you have found us on the Web! I pray that you will find something that will cause you to pay us a visit and that you’ll allow Jesus to be your Savior and Lord!! Our current theme is “MISSION: IMPOSSIBLE” and we are continuing to realize that living the Christian life in times like these can seem to be like a continuing sequel of ‘MISSION: IMPOSSIBLE’!! We’re thankful that God’s Word says, we can do all things through Christ who strengthens us!!! We’re encouraged to fight the fight of Faith, realizing that if God be for us, who can be against us!!! So stop that stinking thinking, change the way you think with the Word of God!! Get rid of that hateful attitude, replace it by loving as Christ loved!! Crucify the old man and his old ways, live transformed by the renewing of your mind!!! Don’t walk by sight, walk by Faith!! Jesus has His Impossible Mission Force Team: the Holy Ghost, YOU and ME!! We are the Team that continues the MISSION: IMPOSSIBLE life changing ministry of “reaching” and “teaching” that Jesus Christ is Savior and Lord!!!!!! WITH GOD ON OUR SIDE, THE IMPOSSIBLE MISSION, IS POSSIBLE!!!! 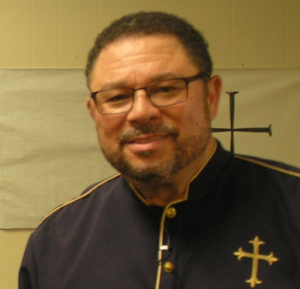 I would like to take this opportunity to welcome you to the First Baptist Church of Elmont. We delight in the work of the Lord and extend an open invitation to anyone who desires to come and fellowship with our church family. Our worship is for real. Our praise is intentional and our love is genuine. May the Grace of our Lord be with each of you.